Give your logo a home that it will love with these smart double wall travel mugs. 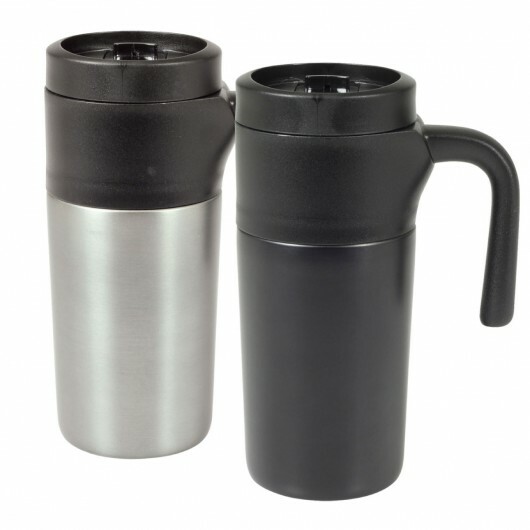 Don't let travel stop you from enjoying your morning tea or coffee with these handy travel mugs - whether it's work, hiking or fitness. They're available in 2 colours and have a double wall build and a 330mL capacity. 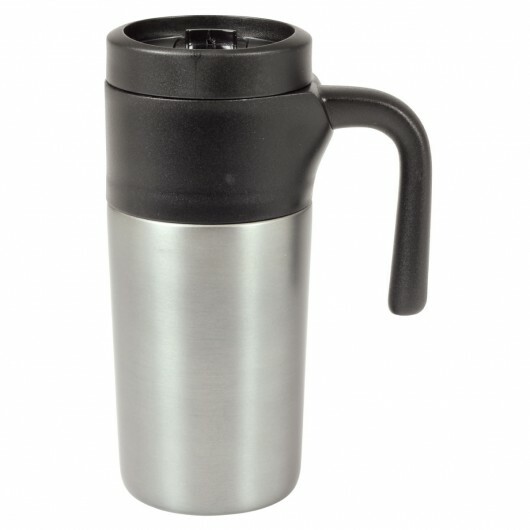 Features include: a spill proof thumb slide lid, non-slip base pad and sturdy handle. They will fit into most standard cup holders. 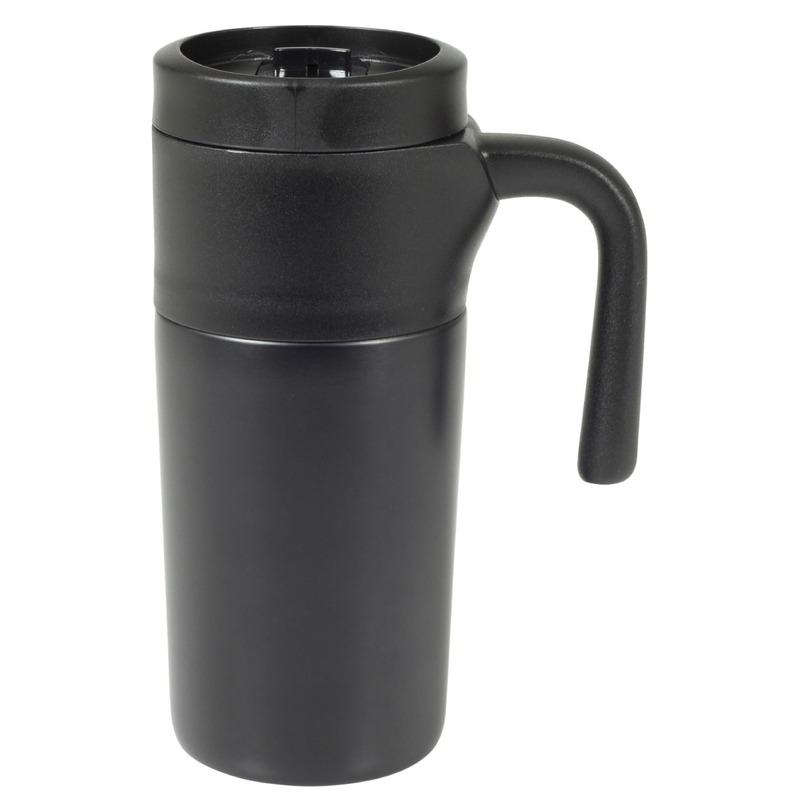 Dimensions 162mm H x 68mm Dia.